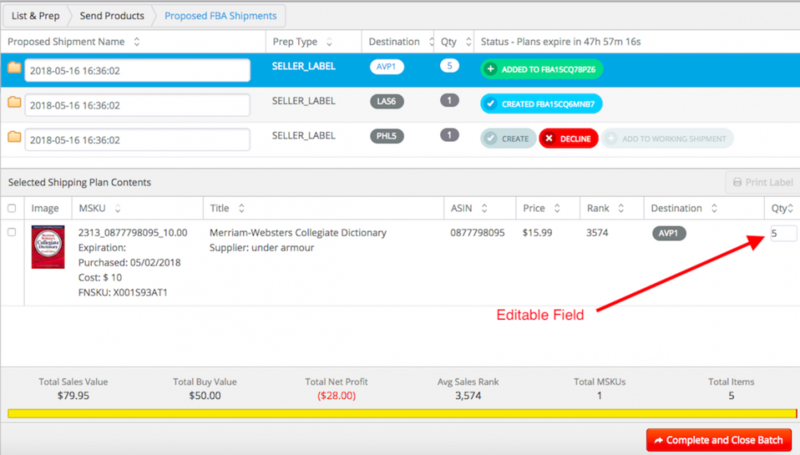 Once you send your product feeds and choose to create FBA shipments in a Private Workflow, you will be on the Proposed FBA Shipments page. On this page, you will have the choice to create or decline a shipment or add to an existing working shipment if applicable. 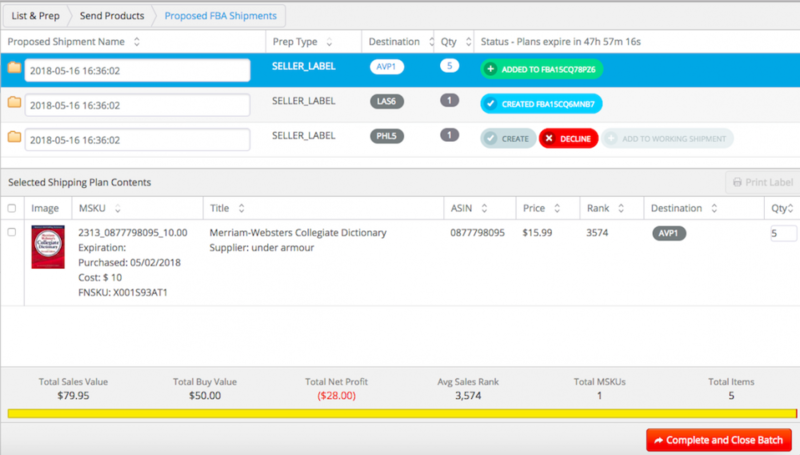 You will also have the choice to change the shipment name, and once you have used the create shipment or add to working shipment option, you can edit the quantity in the shipments with box content on OR off. They must be the same label prep type. For example you cannot combine a NO_LABEL with a SELLER_LABEL shipment. For instructions on combining these, check out this help article. Your “Box Content” selection must be the same. ie: Both batches had to be Box Content “On” or both had to be Box Content “Off” at batch creation. You are not allowed to only provide box level content details for a portion of your shipment. Note: If you are combining shipments that contain the same item, you must also be sure not to exceed the 5%, 10 unit maximum rule that Amazon has for editing your shipments. If adding to an existing shipment will exceed this maximum, the Add to Existing option will not be available for the shipment and you will be unable to combine it into the existing working shipment, even if all of the other conditions are met. If a shipment is eligible to be added to an existing one, a down arrow will appear next to the the Add to button. To add to the existing shipment, click the down arrow and choose which shipment you would like to add to. Once a shipment is selected, a prompt will appear asking if you are sure. If you choose 'Yes, Add', your shipments will be combined immediately. Note: If a shipment is no longer in Working status in Seller Central, be sure to press the ‘Sync’ button to have it removed from the Working Shipments area. This will avoid accidentally adding the new shipment to one that is already completed.